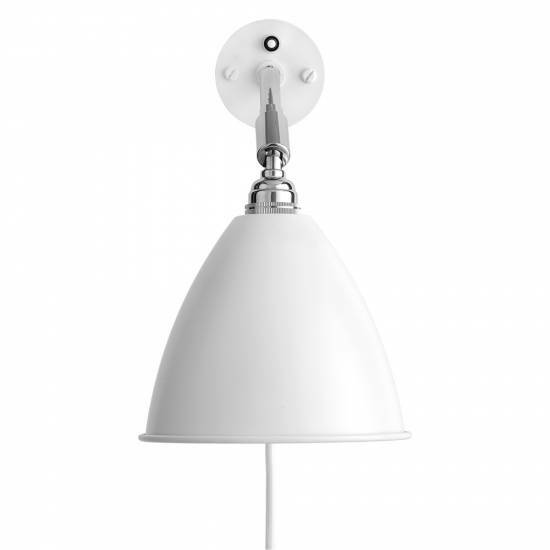 The classic Cobra lamp takes its name from the shape of the oval shade, which is reminiscent of a Cobra's neck (or hood). 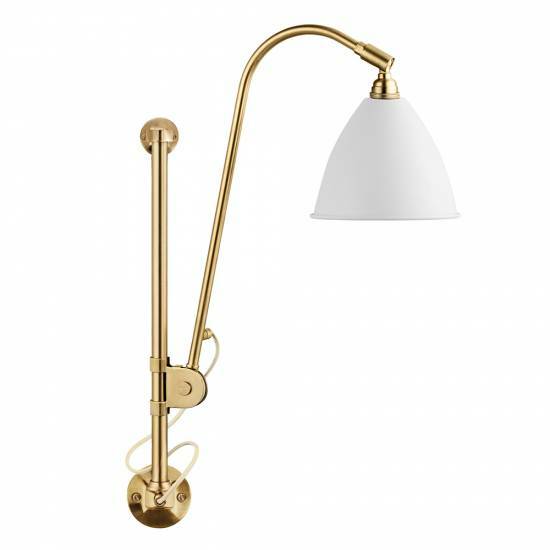 A solid brass arm joins the wall base and shade. 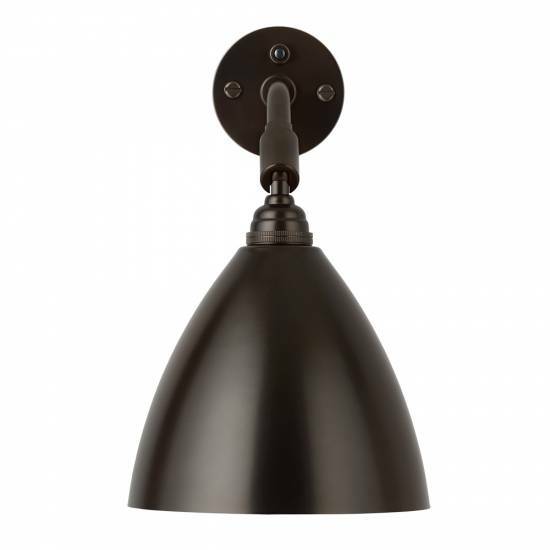 The shade can be tilted 90 degrees from vertical to horizontal and it can be rotated 360¡. 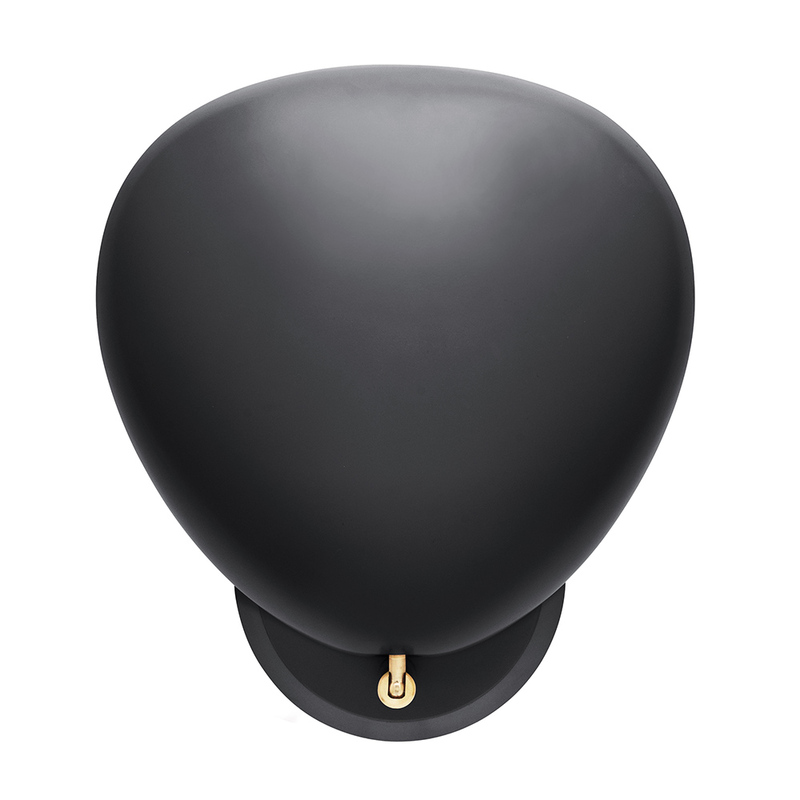 The base cover and the shade is in powder-coated steel. 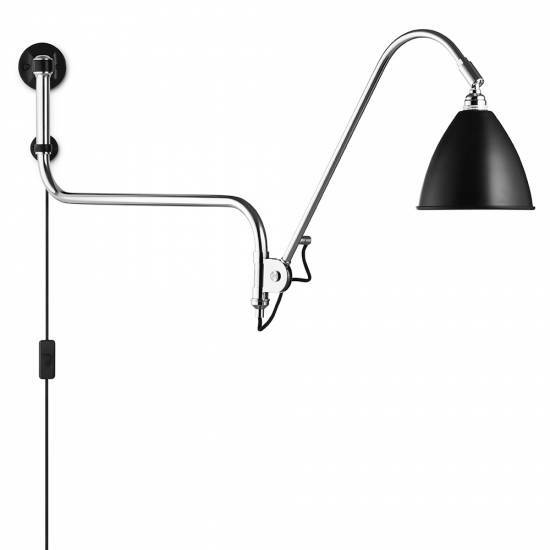 A bracket for the mounting on the wall is integrated in the base. 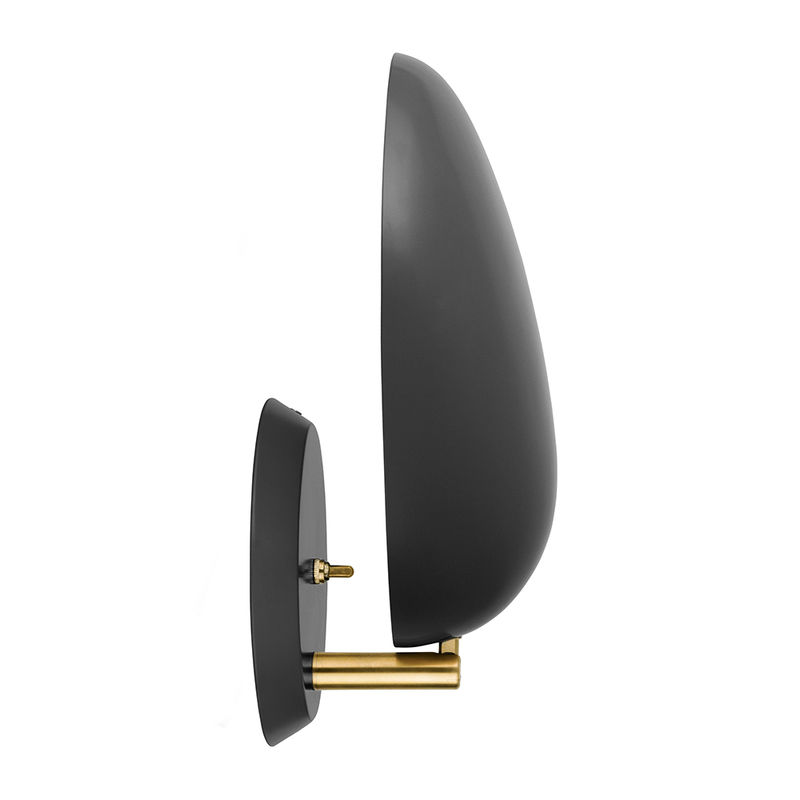 Switch integrated in the base. 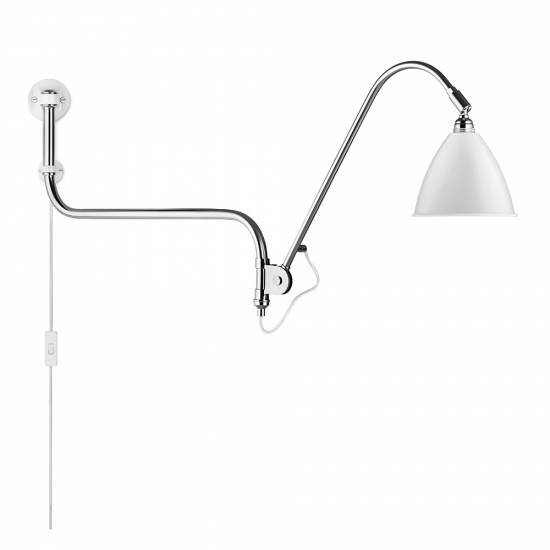 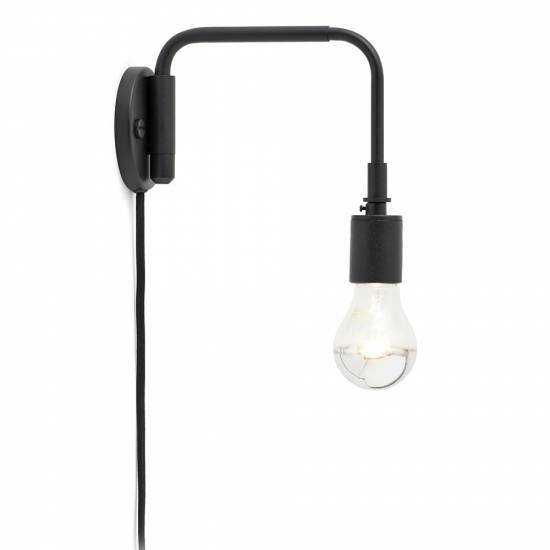 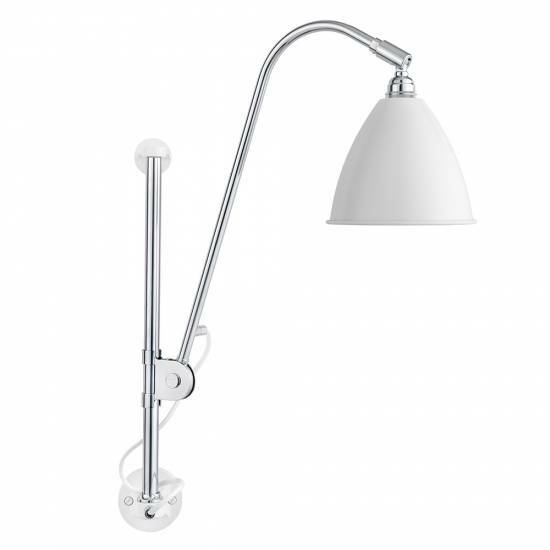 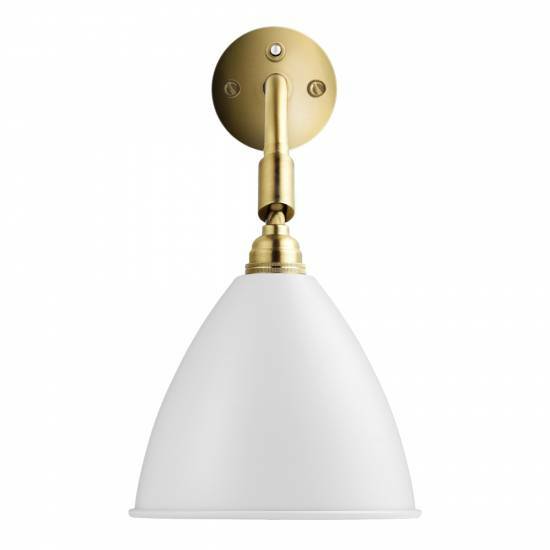 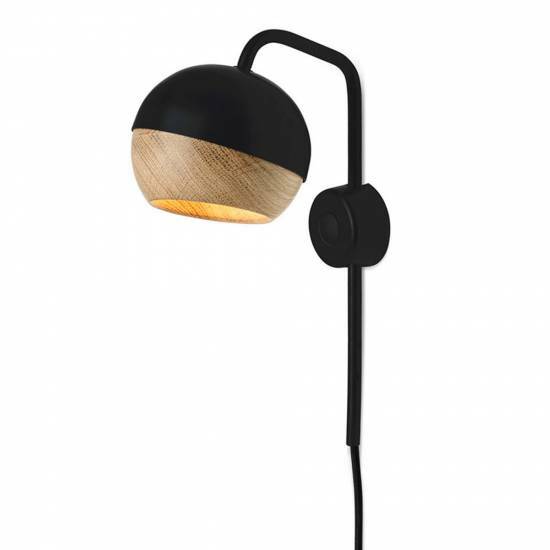 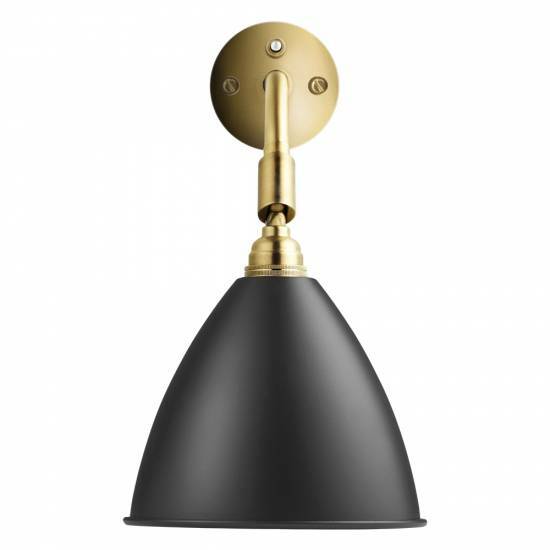 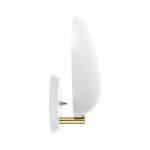 Lamp height: 13", lamp depth: 5.51"
Shade height: 3.15", shade diameter: 11.42"
The lamp can be tilted 90¡ from horizontal to vertical and the shade can be rotated.